Can a Machine Translate Dr. Seuss? 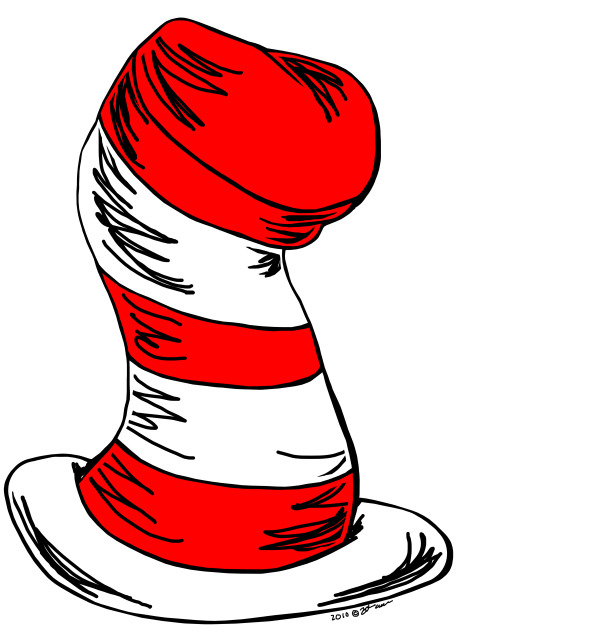 I have a colleague who has never heard of Dr. Seuss. He even has small children learning to read! He has been missing out for life on the clever and silly joy of the American writer who was never a doctor at all. So I quickly emailed my deprived colleague the words of Green Eggs and Ham to share with his daughter. Would the lyrics have the same effect on a Czech-speaking child as it does on an English-speaking child? If you could find it in Czech, would it sound as wonderfully silly, goofy and delightful? Dr. Seuss’ phrases sound fun even if you don’t understand them. It the sound - the words that sound alike, the alliteration, the rhyme, the rhythm - PLUS the quirky ideas that make Dr. Seuss so magical. Dr. Seuss’s work can certainly be called a celebration of language. But can you translate all of this? The alliteration, the rhythm and sound of the language – yes, a good linguist could recreate this, but not quickly. It would possible with a lot of creativity. I imagine an excellent linguist could also recreate the words that Dr. Seuss invented. (See all the words he made up here. Did you know Dr. Seuss invented the word ‘nerd’? ). I would argue that this isn’t translation at all; it’s transcreation. You have to understand the intent, and then start over. A translator working on Dr. Seuss would have to be both a linguist, and a creative writer. Translations have been attempted: I come to find out that Dr. Seuss’s works have been translated professionally into over 20 languages. I admire the linguist who did this work; I and hope they have children and that they delighted in the crafting these phrases. I again felt sad for my Czech colleague who never met a Sneetch or the Grinch, a Wocket, or the Lorax. How do I fix this? There aren’t a lot of Czech/English linguists where I live, but there is Bing – Microsoft’s machine translation engine. I wanted to give it a chance with Dr. Seuss. I would expect it to not be anywhere near as accurate as skilled human translators, and I plan to see some errors, especially when the phrasing or the ideas are complex. I also expect to see the rhyming and rhythm to have fallen away (bummer). So what happened? The Czech here is clearly very raw MT. It is understandable to an extent, but a bit nonsensical (all the more so given the nature of the source English here). Also there are a few subtle shifts here, like "Do you like" is translated as "Would you like". (very different meaning to me!) And "I do not like them" is translated as if it was "I don’t like the look of" etc. I think without seeing the source English, comparing them, andb eing bilingual in order to do so, then one would have problems understanding the Czech text. Nebudu jíst je v dešti. A v noci! V stromu! Ani v autě! Necháš mě být! Není jako je v poli. Není jim jako s liškou. Nebudu jíst je v domě. Není jim jako s myší. Není jako je tady nebo tam. Se nelíbí Zelená vejce a šunkou! I also ran it for Spanish as well, since I speak Spanish and since the books do exist in Spanish. My Argentine colleague, Julieta, read the Spanish and noted a lot of errors. The wrong verbs were chosen, the tenses were weird, and the objects were messed up all over the place. And worse, the errors weren’t even consistent with each other. (It butchered the ‘me gustan’ construction every time). Otherwise, it isn’t horrible. Lastly, and importantly, it doesn’t rhyme at all. I would say the engine didn’t do a great job with the Spanish. The Bing translation is below. No me gusta huevos verdes y jamón. Yo no, no, lo haría en un barco. Voy a no, no, lo harán con una cabra. No les comeré en la lluvia. No les comeré en un tren. No en la oscuridad! No en un árbol! No en un coche! Me dejas ser! No me gustan en una caja. No me gustan con un zorro. Yo no les comerá en una casa. No me gustan con el ratón. No gustan aquí o allá. Yo no les gusta en cualquier lugar! No me gusta huevos verdes y jamón! This was a fun exercise, but I am going to the bookstore to get some copies in English to share with my international friends. What is your favorite Dr. Seuss word? Have you enjoyed Dr. Seuss in another language?